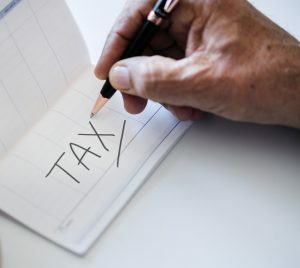 What are the key things that you should be considering to make the most of allowances and exemptions before 5 April 2019, the end of the 2018/19 tax year? Have you made the most of your capital allowances? Any capital expenditure (buying plant, machinery or equipment) can be offset against profits your by claiming capital allowances. Therefore, this will help to reduce your corporation tax liability. The Annual Investment Allowance (AIA) means that most businesses can claim 100% of the first portion of expenditure. Special rules do apply for cars and certain ‘environmentally friendly’ equipment. Ask us if you’d like to know more. During the 2018 Autumn Budget, Chancellor Philip Hammond announced that the AIA will increase from £200,000 to £1 million. This applies to expenditure incurred from 1 January 2019 to 31 December 2020. Are you making the most of ISA allowances? There are many ISAs available to savers including the Help to Buy ISA which helps first time home buyers get on the property ladder; and the Junior ISA for individuals aged under 18 and the Lifetime ISA for those under the age of 40. The overall annual subscription limit is £20,000. This can, however, be split across a combination of cash or stocks and shares ISA. As an individual you are permitted to pay into one of each kind of ISA – so a maximum of one Cash ISA, one Stocks and Shares ISA, one Help to Buy ISA, one Lifetime ISA and one Innovative Finance ISA. Remember you have until 5th April 2019 to utilise your £20,000 allowance for 2018/19. The personal allowance is currently set at £11,850 for 2018/19 (increasing to £12,500 for 2019/20). It is worth considering how between yourself and your partner/spouse, you can maximise this. You may want to consider transferring some of your income or assets to them to make use of their allowance if they earn below the threshold. It’s important to speak with us before making any ‘income shift’ as the legislation states that it must be made as a gift without conditions. It’s also worth exploring eligibility for the Marriage Allowance, which allows those married or in civil partnerships to transfer up to 10% of their PA to their spouse/partner. The Marriage Allowance is applicable where one person has an income below the PA, and neither person pays tax at the higher or additional rate. This could help to reduce a couple’s tax liability by up to £238 if they transferred the full £1,190 allowed in 2018/19. Again, get in touch if you wish to discuss your eligibility for this. Making Tax Digital Takes 7 Days – Are You Ready?